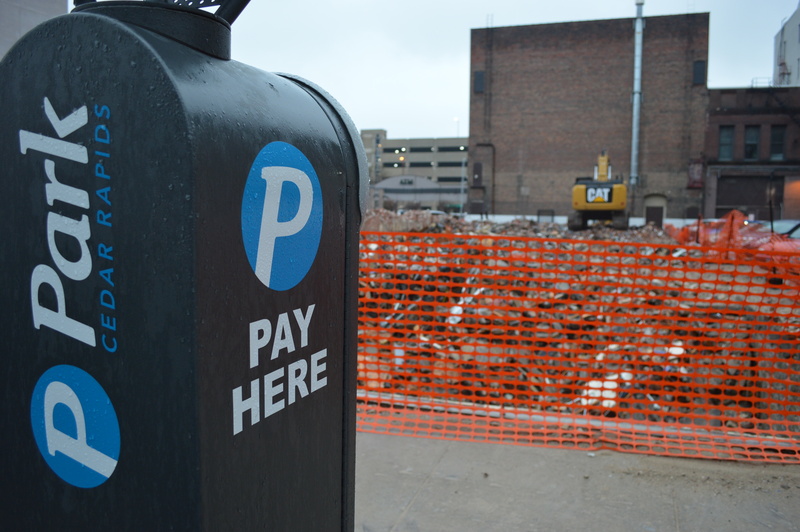 CEDAR RAPIDS – Few people batted an eye when the former Isis Theatre in downtown Cedar Rapids was demolished earlier this year; a spot where a parking lot now stands. Just months later, that block and others are being scrutinized under a different microscope, as the city explores the creation of a Downtown National Historic District. Meetings to discuss the proposed district will be held from 11 a.m. to 1 p.m. and 4-6 p.m. this Wednesday, October 22, 2014, at the Linge Lounge in Theatre Cedar Rapids, 102 Third St. SE. The district is under discussion basically because an agreement made with the Federal Emergency Management Agency (FEMA) after the 2008 flood requires it. When federal money was used to demolish numerous historic properties after the flood, the city signed an agreement with FEMA, part of which includes an effort to explore the formation of a Downtown National Historic District. If the district makes it on to the National Register of Historic Places, owners of “contributing” structures – those with distinctive architectural significance – would be eligible for historic tax credits for certain projects and other benefits. The designation, however, does not protect buildings from demolition, so the former Isis Theatre, at 315 Second Ave. SE, might not have been saved, regardless of a listing on the register. 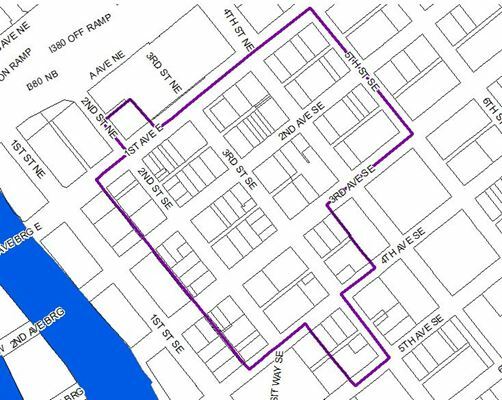 That block is included in the proposed boundaries of the district, which stretches from Second to Fifth streets SE between First Avenue and Third Avenue SE, including a few selected blocks between Fourth and Fifth avenues SE and the 1927-built Roosevelt Hotel at 200 First Ave. NE. 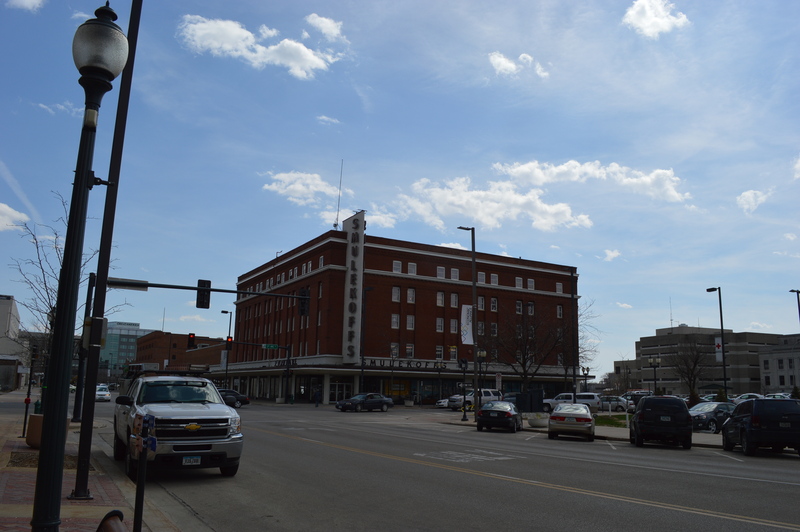 Stoffer Hunter and Emily Meyer, members of Save Cedar Rapids Heritage, had advocated for including the extra blocks to Fifth Street after the original proposal marked the boundary only to the downtown railroad tracks. That addition allows for inclusion of several buildings, such as Skogman Realty and the Bever and Palmer buildings, Stoffer Hunter noted. Some areas are excluded, however, including the Smulekoff’s building, at 97 Third Ave. SE. 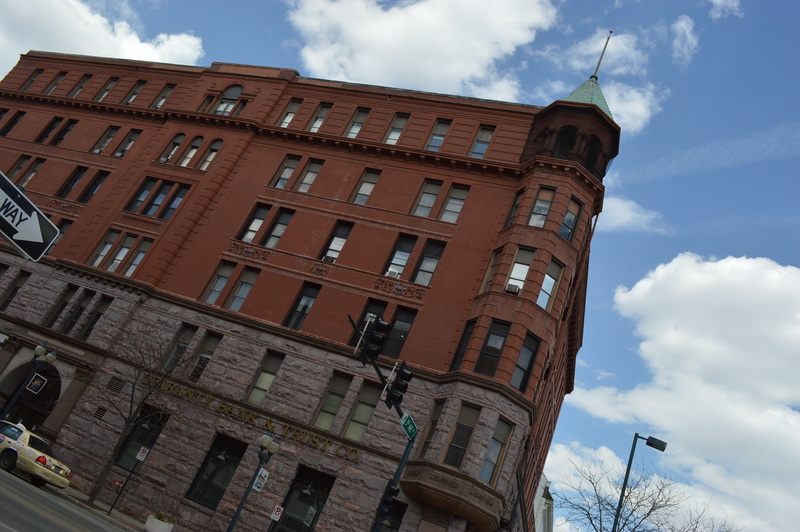 The building, one of the last to take a city flood buy-out, was separated too far from other historic buildings in the downtown to be connected to the district, Stoffer Hunter said. Parking lots and ramps also precluded other blocks from inclusion in the potential district, he added. As a member of the Cedar Rapids Historic Preservation Commission, Stoffer Hunter did not oppose the demolition of the former Isis Theatre, which was razed in April 2014. Known more recently as Capri Cosmetology College and a series of bars, including Dublin City Pub, Teeghan’s and, just before it was demolished, Downtown Wrigley Bar & Grille, a portion of the building was first constructed in the 1880s, Stoffer Hunter said. An addition was built in 1898 before the building was moved one-half of a lot to make way for the Witwer Building, which remains on the corner and now houses White Star Ale House. Stoffer Hunter said the Isis Movie Theatre, with an Egyptian palace theme, operated in the building until the end of the silent movie era. Western Union Telegraph bought the building and rebuilt the majority of it around 1930. Because of those structural changes, Stoffer Hunter said he did not oppose the application by Guaranty Bank, which had the property demolished. Still, he said he hoped that is the last of demolitions in the downtown and that the historic district nomination will move forward, though the owners of downtown buildings will have the final word on inclusion in the National Register. Why is the City pursuing a Downtown National Historic District? The City of Cedar Rapids entered into an agreement with the Federal Emergency Management Agency (FEMA) after the flood of 2008. As part of that process, a variety of measures were identified to help address the adverse impacts of the flood on historic properties. This effort includes exploring the formation of a Downtown National Historic District. This recognition will highlight key historical and architectural aspects of downtown Cedar Rapids that would be honored through the nomination process. What does it mean to have property listed on the National Register of Historic Places? · Inclusion on the National Register of Historic Places is an honorary distinction that signifies your property is an important part of America’s cultural and his­toric heritage. · If Federal funds are not being used on the property for development or rede­velopment, the National Register status places no obligations on private prop­erty owners; and there are no restrictions on the use, treatment, transfer, or disposition of private property. In addition, there is no local historic review for properties located within National Register districts. What are some of the benefits of owning property in a National Historic district? · Property owners may be able to obtain Federal historic tax credits and State tax credits for rehabilitation for eligible projects. · Property owners may be eligible for certain Federal grants related to historic preservation as they are available. · Property owners may also be eligible for certain State incentives and benefits. · Listing on the National Register generally does not decrease property value and, in some cases, may actually increase the value or marketability of a prop­erty. · Properties may be eligible for a one time, four-year tax exemption through Linn County’s tax exemption program. 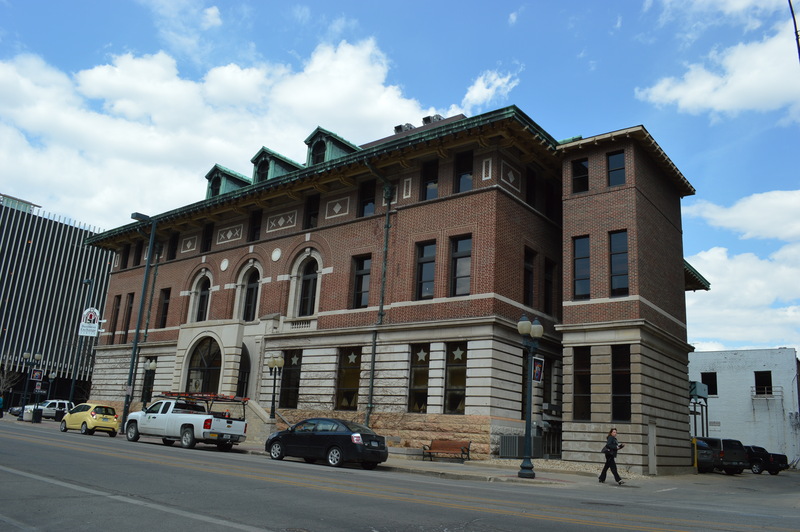 This program applies to historic prop­erties that have an approved application for substantial rehabilitation from the state historic preservation officer.